Real estate is competitive, and your clients expect a feature-rich experience. The days of offering basic listings are over. Now, you have to provide an experience that is loaded with features, and your listings need to be detailed. Advanced map search features are a great way to improve your real estate marketing, and to get potential clients to interact with your listings. As you know, every homebuyer has their own unique needs. They all have distinct expectations for any home that they are looking for. As a REALTOR®, you have to show them listings that satisfy their expectations. That means having a website that features all the latest MLS listings. Still, that alone often isn’t enough. That’s where advanced map search features come into play. A feature-rich experience is designed to let a client search for the things that matter most to them. It’s about more than showing which neighborhoods have the best schools, a three bedroom house with two bathrooms, and the price. Advanced map search features are changing the way people search for homes online, and if you want to stay ahead of your competition, you need to implement them into your real estate marketing strategies today. 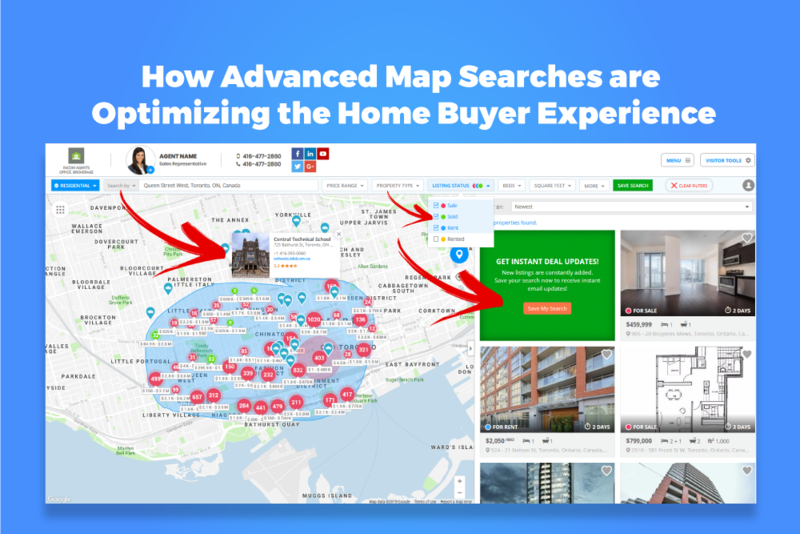 In this article, we are going to explore several reasons how advanced map search features can help you improve your real estate website. You can show your clients as many listings as you want, but in most cases, they are still going to search online for houses that appeal to them. With advanced map search features, you can help your clients find the right home for their situation. It’s important that you provide your clients with a positive user experience. An advanced search is designed to show more than just how many bedrooms and bathrooms a house has. Instead, it helps your clients filter for the things that matter most to them. They can search for all the typical things like price, bedrooms, and bathrooms, while also searching for advanced things such as amenities, transit access, whether the house has a garage, and more. Advanced map search features are all about improving the user experience without being obstructive. They can easily be turned on and off as a potential buyer searches your listings. Many real estate websites force their users to search for homes within predetermined regions. This approach doesn’t always work as homebuyers sometimes want to search very specific areas. With the draw a search region feature, your users can trace exact neighborhoods and areas that they want to find a home in. This level of functionality is desirable and will help you stand out from your competition. Amenities matter to your buyers. It can be difficult to know what amenities an area has to offer. One of the easiest ways to improve your real estate marketing is to include a map that shows all the amenities an area has to offer. A feature like this is an easy way to reassure potential homebuyers that they are purchasing a home in a neighborhood that has everything they need. When a client is looking to buy a house, they are going to have to search through hundreds of listings. An advanced map search function helps them isolate specific upgrades that they want. If they want a house with a pool, garage, and fireplace, they may not be interested in seeing houses that don’t have these things. Advanced search features help you save your clients time by only showing them houses that they are actually interested in. Improve the homebuying experience of your clients today using something as intuitive as advanced map search features. The future of real estate marketing is online. You have to improve your real estate website if you want to generate leads and close more deals. Here at InCom Real Estate, we specialize in real estate marketing web design, and other real estate services. We can help you improve your website so that you can increase your conversion rates. Please contact a member of our customer service team today if you are interested in learning more about advanced map search features and how they can improve your real estate website.